Looking for primary sources related to a particular time period in U.S. history? 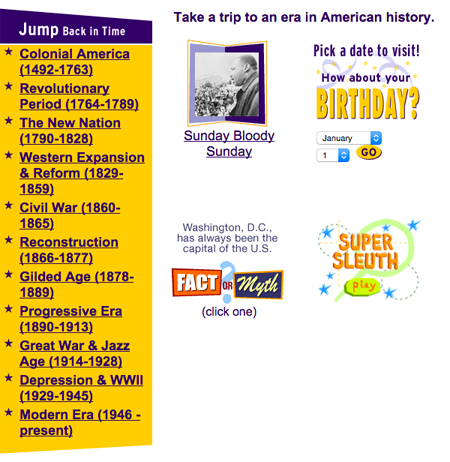 The Teaching with Library of Congress blog suggests using the American Memory Timeline, an online presentation that provides a comprehensive look through U.S. history using primary sources from the Library’s collections. For teaching ideas, read the whole blog post. More resources are listed below.